Properties in Fiavè average 4.6 out of 5 stars. Beautiful holidays between Lake Garda / Tenno and Terme di Comano / Dolomiti del Brenta. 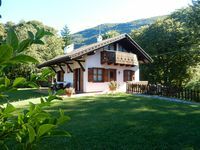 Property 1: Beautiful holidays between Lake Garda / Tenno and Terme di Comano / Dolomiti del Brenta. Holiday apartment few minutes from one of Lake Garda’s most beautiful beaches. Property 48: Holiday apartment few minutes from one of Lake Garda’s most beautiful beaches.